mariadb, press release, MySQL, MariaDB Foundation, "MariaDB 10.0"
London, United Kingdom – 31 March 2014 – The MariaDB Foundation, an independent body which promotes the popular open source database MariaDB, today announced the much-anticipated general availability of MariaDB 10, providing today’s generation of application developers with enhanced performance and functionality. Since its launch in 2009, MariaDB has built an active and vibrant open source community and has led the way in database innovation. In 2013, Wikimedia Foundation, the people behind Wikipedia, announced the migration of many of its production MySQL systems over to MariaDB and Google confirmed it aims to move its thousand-plus MySQL instances over to MariaDB technology. Today we’re celebrating Percona’s 7th anniversary. 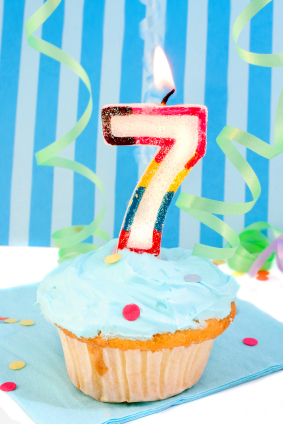 A lot has changed in these past 7 years – we have grown from a two-person outfit focused exclusively on consulting to a 100-person company with teammates in 22 different countries and 18 different states, now providing Support, Consulting, RemoteDBA, Server Development and Training services. The Board of the MariaDB Foundation thought it would be good to provide an update — hopefully the first of a regular quarterly series — on how we’re progressing with the interim activities around constructing governance, identifying a new representative Board and structuring an engineering council. The MariaDB Foundation is now independent of any business interests. With the acquisition of Monty Program Ab by SkySQL Ab, there’s now a clear separation of functions. The Foundation is the home of community activity around MariaDB, dedicated to sustaining and delivering the MariaDB database on behalf of its community independently of the business interests of any member. We are acting as a US 501(c)(6) not-for-profit and intend to follow the advice we have received to formally register with the IRS at the start of 2014. The MariaDB Foundation, stewards of the community-maintained open source MariaDB database that is sweeping the Internet, announced today the next steps towards a community-managed governance structure. With the appointment of a new, enlarged Board of Directors and a new interim chief executive, the MariaDB Foundation is now on track to a fully member-led governance in the second half of 2013. The Board members are now Rasmus Johansson, Andrew Katz, Simon Phipps, Michael “Monty” Widenius, and Jeremy Zawodny. The first act of the new interim Board was to appoint Johansson as Chair and Phipps as Secretary and Chief Executive Officer. I’ll be on a whistle-stop tour of California next week, including two presentations at the Percona Live MySQL Conference and Expo. On day one at 1:20pm I’ll be presenting CAP Theorem: Two out of three ain’t right, in which I will be challenging the popular ‘two out of three’ explanation of CAP Theorem, examining the evidence from a variety of experts, including Dr Eric Brewer. Then on day three at 9:00am I’m very honoured to be providing a keynote presentation, The State of the MySQL Ecosystem. What is the value of a seed? When I discussed the MariaDB Foundation with friends and colleagues, many said I was exaggerating. My believe is that the Foundation is important for MySQL and for the future of the IT industry - services and applications. Many agreed with me that the Foundation is important for the MySQL ecosystem, but involving the global economy and the whole IT industry is a bit of a stretch. Fact is, the World Wide Web would not be as it is today without MySQL. MySQL was part of the LAMP stack. It powered - and still powers - some of the most successful web sites in the world. Without LAMP, companies like Facebook, Twitter or Google would have been developed in a completely different way or they would have not been developed at all.